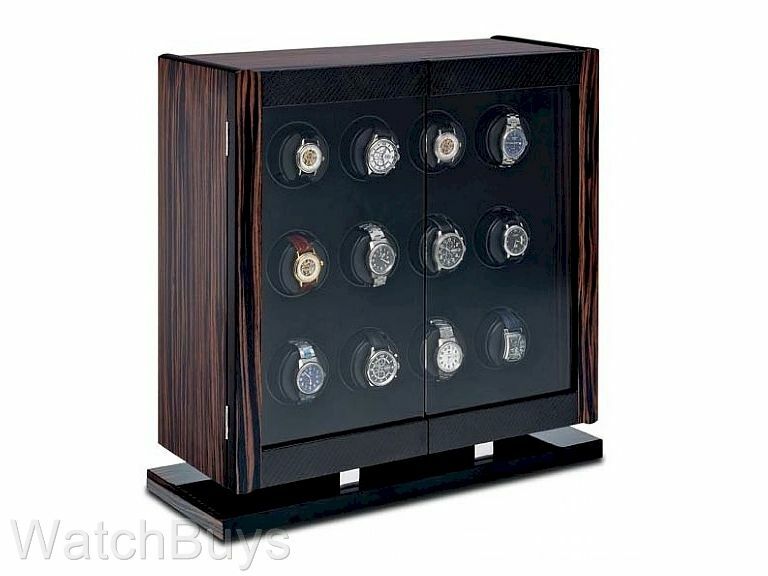 The Avanti 12 watchwinder presents a very upscale, very modern case design, of Italian construction finished with macassar/ebony and carbon fiber materials and fitted with 2 center opening glass doors. Available as either a pedestal or wall hung version. Inside are the reliable and well-proven solid-state Orbita watchwinder modules providing independent operation for each winding position. 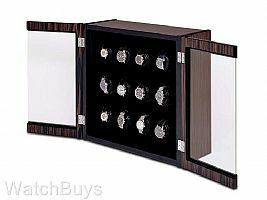 The user-friendly programmable microprocessors control both rotation direction and turns per day (TPD) depending upon the requirements of the particular watches being wound. The winder is virtually silent in operation. Ball bearing construction throughout, coupled with the use of Swiss designed ironless core precision motors, assures long life with no maintenance required. Both units are powered by the supplied AC/DC adapter. The pedestal version is suitably weighted at the base to provide stability. The wall hung version is ideal for those with table or counter space constraints. 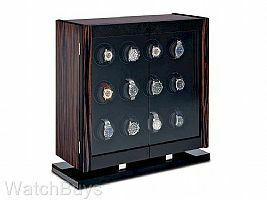 Two steel mounting brackets are recessed in the side frames so that the cabinet fits securely and completely flush with the wall surface.